Tag Archive | "2018 NFC South Preview"
I’m very high on the Saints this season. 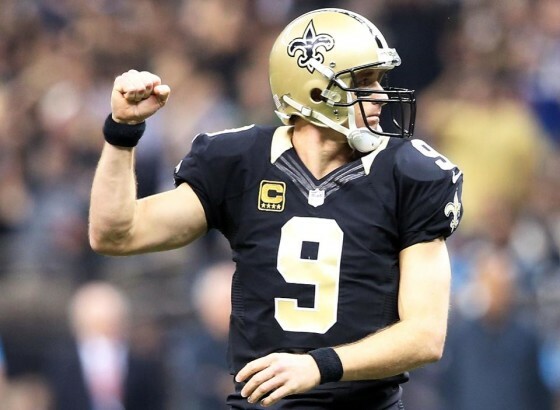 Drew Brees is an exceptional quarterback and gets forgotten in the discussion for not only the best quarterbacks in the league but quarterbacks in history. I also think with the limited years Brees has left will be the same for Sean Payton in New Orleans, and I believe they sense that urgency. The offense is potent with Alvin Kamara and Mark Ingram at running back providing a one/two punch. Michael Thomas continues to improve as a receiver and should be reaching his apex of production here in his fourth season. Defensively, this team has made a concerted effort to improve that side of the ball the past couple of seasons and it is paying off. Cameron Jordan has really impressed as a pass rusher, and I think Manti Te’o has been incredibly underrated at linebacker since coming into the league. I really like Marshon Lattimore at cornerback. I don’t think he will get to the mega elite level of corner in this his second season, but he just might. These three make the defense good on all three levels. This could be a super season for the Saints, a big factor in that would be if they can stay in the Big Easy for their playoff games. The Falcons are a curious team this year. Their offense will again be difficult to contain with all the weapons Matt Ryan has at his disposal. We all know about Julio Jones, but Mohamed Sanu has been a perfect compliment to him these past few seasons. This offensive line is very underrated as well. I’d like to see what improvements Takkarist McKinley makes coming into his second season rushing the passer. If he draws more attention they will put many offenses in a bind with Vic Beasley Jr. rushing the passer on the other side. The back line of the defensive has been underrated but productive in the Dan Quinn regime in Atlanta. Keanu Neal is a productive safety, but their corners don’t jump out at me. I’d like to see what second round pick Isaiah Oliver can provide to their corner position. Atlanta has a tough schedule right out of the gate and play in a very tough division, which is why I have the win total at nine. I do see them making the playoffs however. Carolina has a history under Ron Rivera to follow a winning season with a losing season, and I expect that trend to continue. This shouldn’t be much of a surprise because Carolina is so heavily reliant on Cam Newton to make everything happen offensively. Last season, the plan was to change the offense to rely less on Cam Newton running, but they quickly diverted from that. It’s important to see what speed merchant Torrey Smith can bring to the receiving unit and if he can provide similar success to what Ted Ginn Jr. had with Newton. Christian McCaffrey will need to continue be a multi-dimensional weapon. Luke Kuechly will once again dominate as a linebacker, and I look for James Bradberry to continue to improve in his third season. A tough division and the burden placed on Cam Newton would have me expecting the Panthers falling just short of the .500 mark this season. Tampa Bay has fallen off significantly since finishing 2016 with a 9-7 record. Jameis Winston will be suspended for the first three games of the season, and they will turn to Ryan Fitzpatrick to maintain during that timeframe. Fitzpatrick has a big arm and some weapons with DeSean Jackson and Mike Evans, but he is simply too mistake prone however, and there is no reason to expect at this stage of his career that will ever change. Peyton Barber will have to improve and solidify that running game for the Buccaneers to have any chance. Gerald McCoy is excellent at defensive tackle, and I’m curious to see if Jason Pierre-Paul can restart his career with the Buccaneers. Lavonte David is a solid linebacker and expect him to continue his good play again this year. The back end of this defense leaves a lot to to be desired, however. Brent Grimes is old enough to be a veteran of NFL Europe (seriously) and Vernon Hargreaves III is average at best. Chris Conte at safety is good, but the rest of the secondary just isn’t good enough. I expect NFC East teams to feast on Tampa Bay being that the rest of their schedules are brutal and four wins might be a stretch for this team.